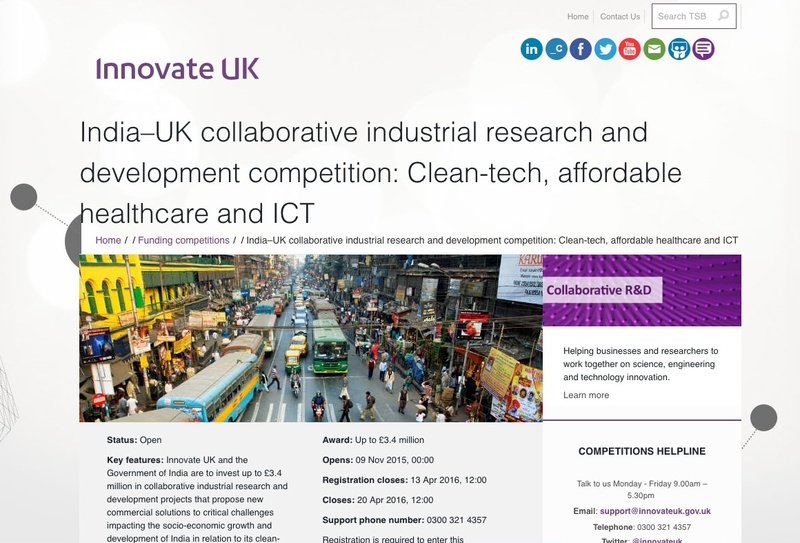 In order to support potential applicants finding partners to participate in the India–UK collaborative industrial research and development competition: Clean-tech, affordable healthcare and ICT, KTN is hosting this online partnering tool called Meeting Mojo. 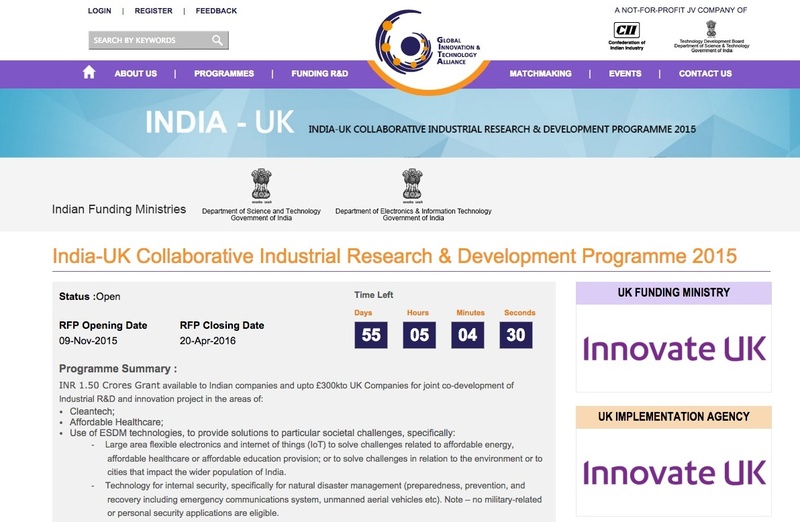 This tool is for both Indian and UK applicants. Please note that there will not be any physical meetings held - all activity will be hosted online for you to pursue further. Interested in the Newton Fund? Find out more about the Newton Fund and KTN's role within it here. 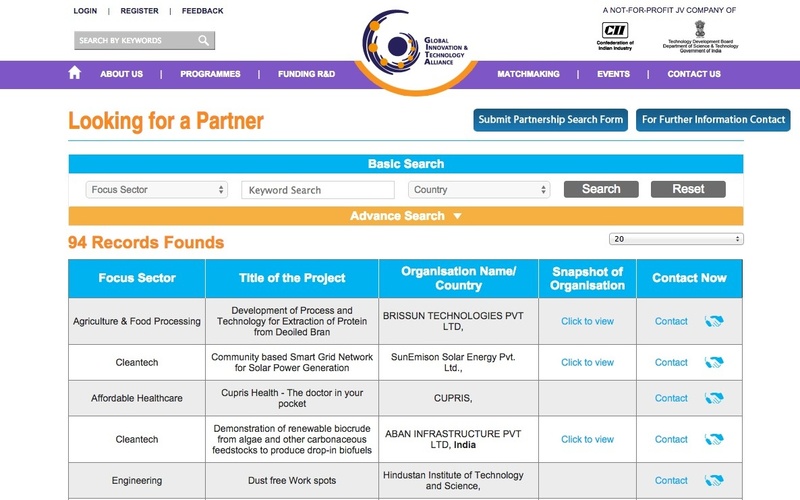 Register on this site (please note, although your organisation address and phone number are mandatory fields, they will not appear in your public listing). Once registered, you will receive an email with your login details from Meeting Mojo which will also include a link to authorise your account. Click on this link and then log in and click 'Account' to update your organisation and personal details further. These can include a brief profile and a logo. Remember - the more details you include, the easier it will be for other attendees to find and research your company. Click Search in the menubar to view and search company listings. You can use the search tool on the left of the page to refine your selection, or order by date of entry using the selection tool above the listing. The search is hierarchical, so the second category you select will be a subset of the first. If you then wish to start a new search, please click Reset on the Search tool before starting again. Click 'Send message' on your chosen participant's entry to start your discussions and share contact information. Messages are also displayed in your 'Messages' area. If you can't find a suitable partner on this site, GITA is also hosting an online matchmaking site, listing Indian organisations. Use this website on your computer or mobile internet device. Please log in to access your account. If you have forgotten your password, click here to reset. If you need assistance please check our FAQ guide. If you do not find the answer there please email: jess.sully@ktn-uk.org or contact us on +44 (0)7964 562 593.